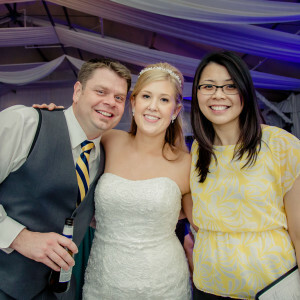 Jenn & Marty had a rockin’ time on their wedding day! 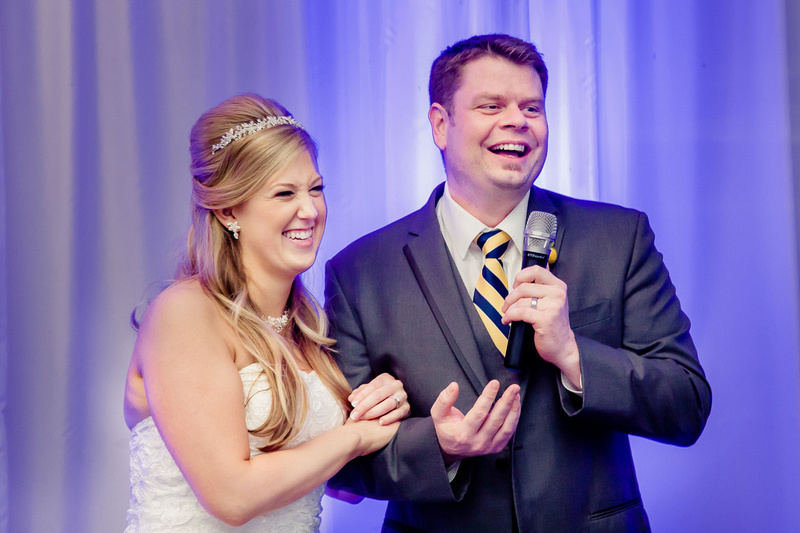 It was all-smiles throughout the day and not only from the new Mr. and Mrs. Marty Merrick, but all in attendance! 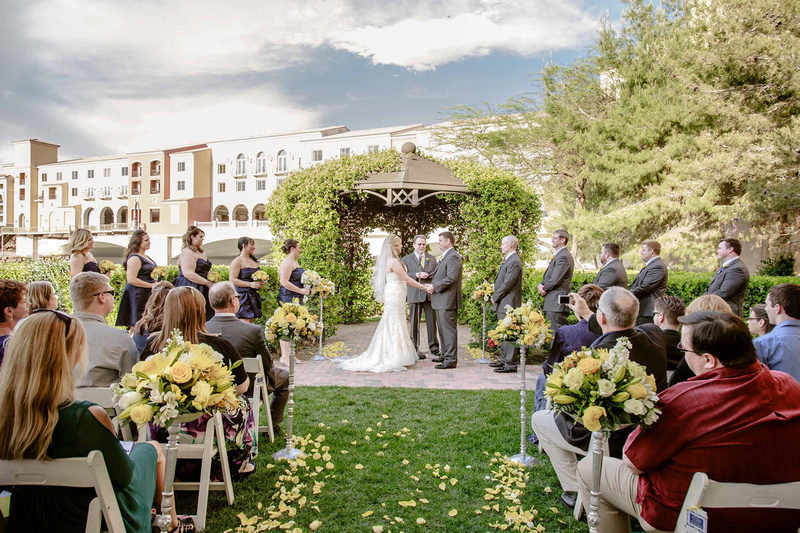 I mentioned in Jenn & Marty’s Las Vegas Engagement Session that April 12 is an extra special date for Jenn because it was also her grandparents’ wedding date. 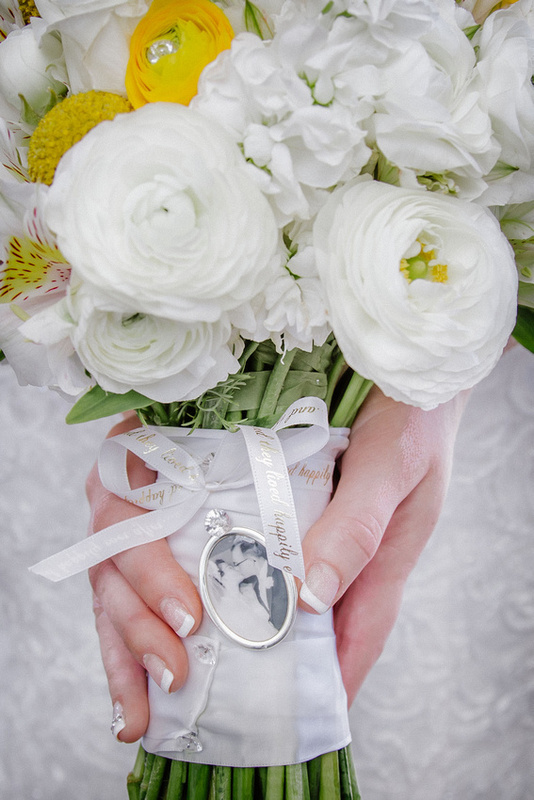 In honor of Jenn’s grandparents, Jenn placed a brooch with a picture of her grandparents in her bouquet. What a lovely touch! 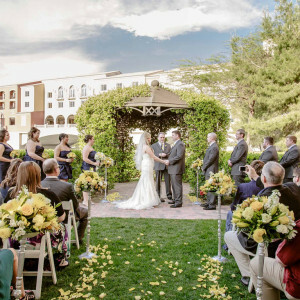 The weather was nice and warm for a Pavilion Garden wedding ceremony at Hilton Lake Las Vegas. 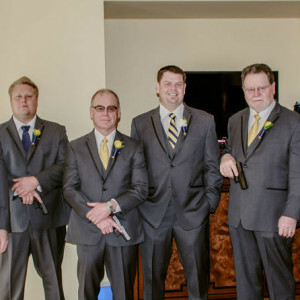 Everyone headed into the Pavilion to cool off after some formal pictures, along with our new Mr. and Mrs., who were ready to get their party started! 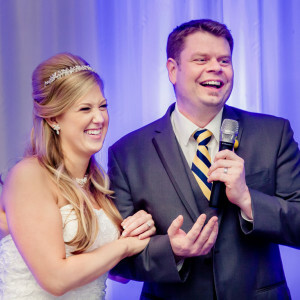 The speeches were hilarious and heartwarming, and DJ Livinh kept the party going all night long! 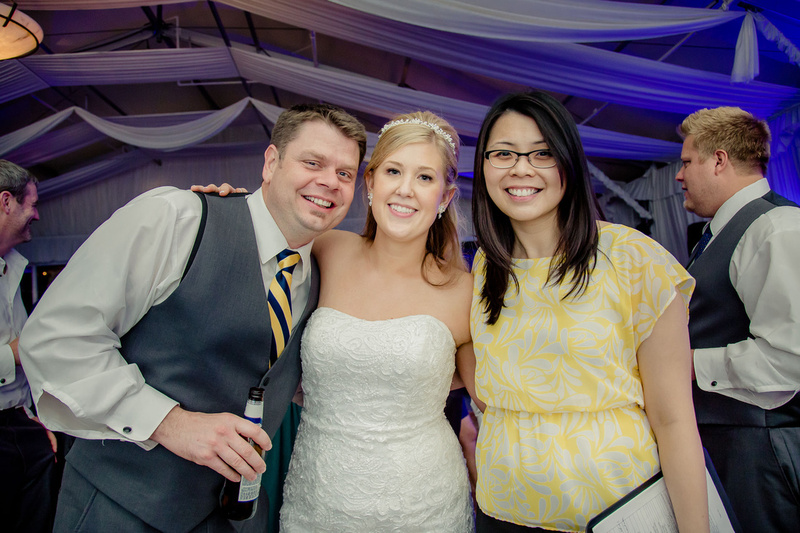 Thank you very much, Jenn & Marty, for allowing us to be a part of your special day and your family! It was truly an honor. Cheers! 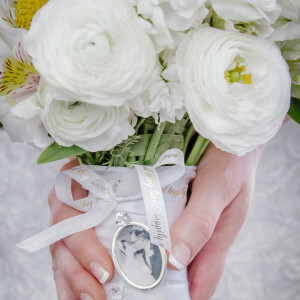 Hair and Makeup: Amelia C & Co.